You’ll have to register first. Click on the coupons & promotions tab. Big ad prints after the coupon. Expires 30 days from print. Ad prints after the coupon. If you are already registered with Suave, click “already registered” and insert your email. If not, fill out the form and submit. Expires 01-31-10. Fill out the form and submit. Ad prints after the coupon. Some good zip codes to try are 19901 and 30003. 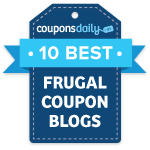 Thanks, Hip to Save, Printable Grocery Coupons and Deals, and Southern Savers!